C-Man and I prefer gifting cash for weddings, but I wanted to add a little something for J and T’s wedding. 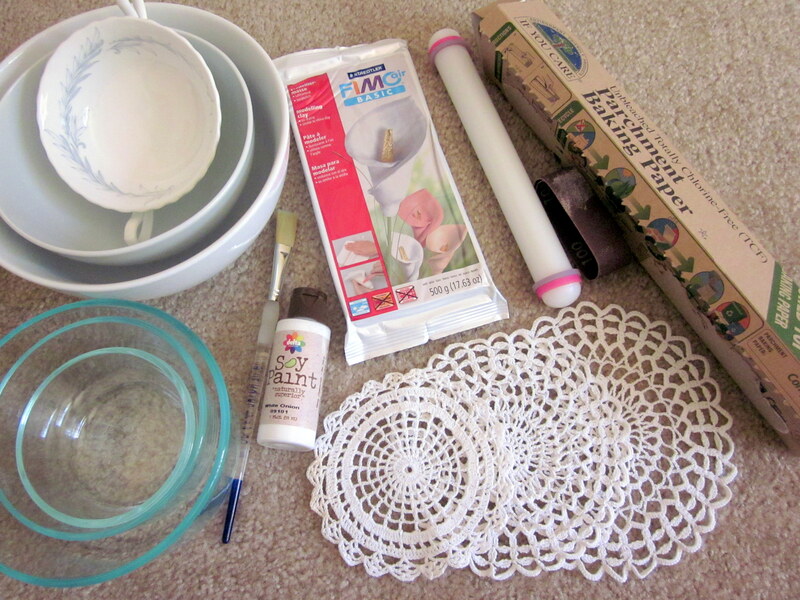 I don’t remember where I originally heard about this tutorial for a doily ring dish, but I love the romantic look of it. Place foil on work surface. Roll the desired amount of clay into a ball. 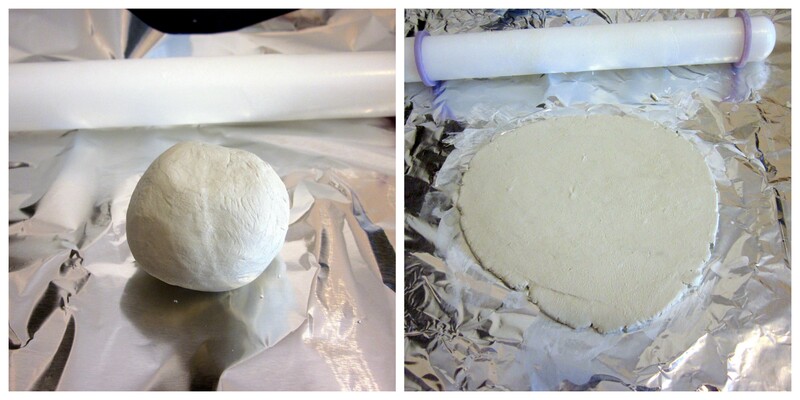 Wet clay, hands, foil, and rolling pin. With the rolling pin, flatten clay to 1/8 inch thickness (use rolling pin 1/8 inch guide rings or two rulers/magazines with approx. 1/8 thickness, one placed on each side). Keep clay wet to reduce cracks. I also found it helpful to roll the clay in one direction. If the clay is too sticky, add more water and place a piece of foil on top of the clay, then use the rolling pin to flatten. 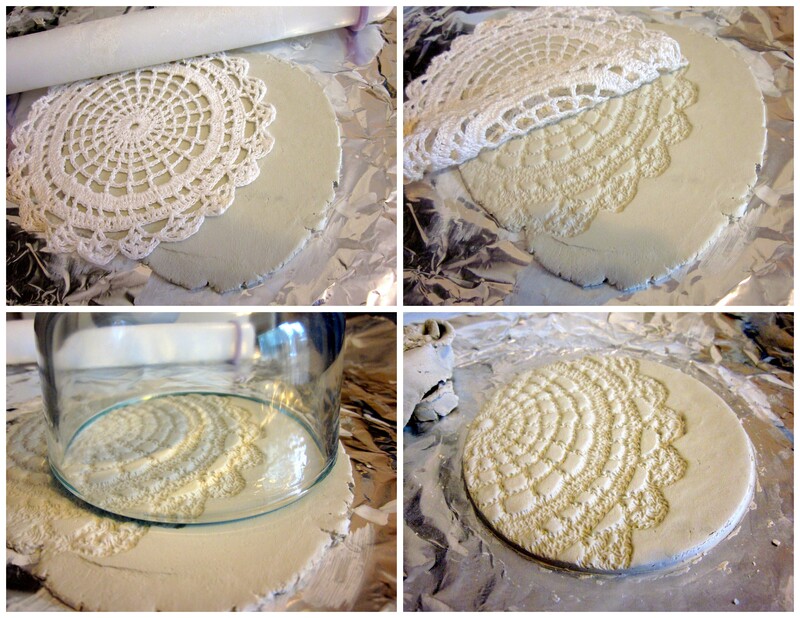 Stamp a doily into the clay by using the rolling pin. 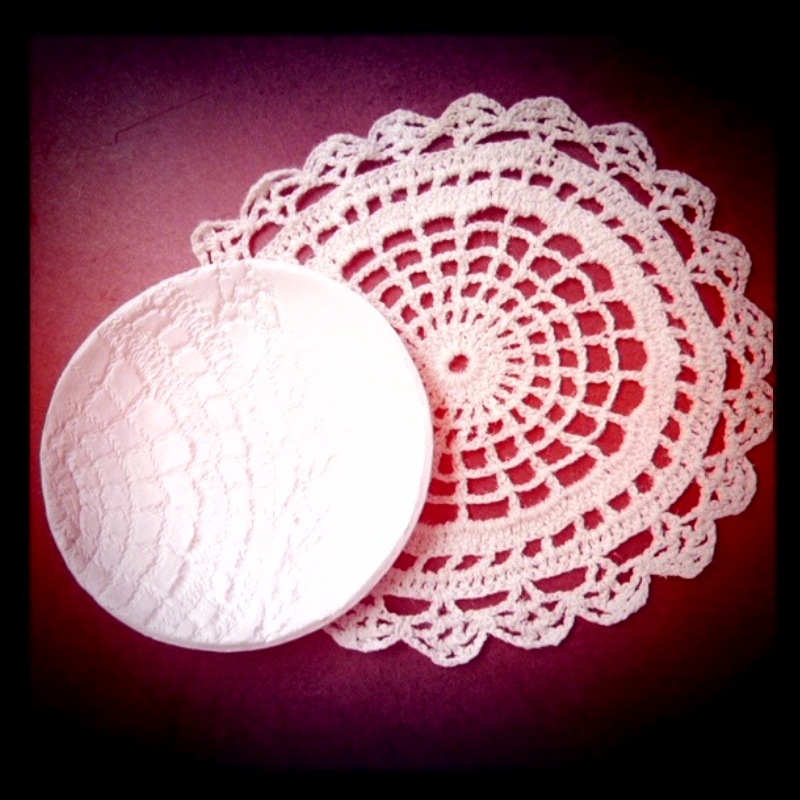 Carefully remove the doily. Cut out a circle using a jar/bowl/pint glass. 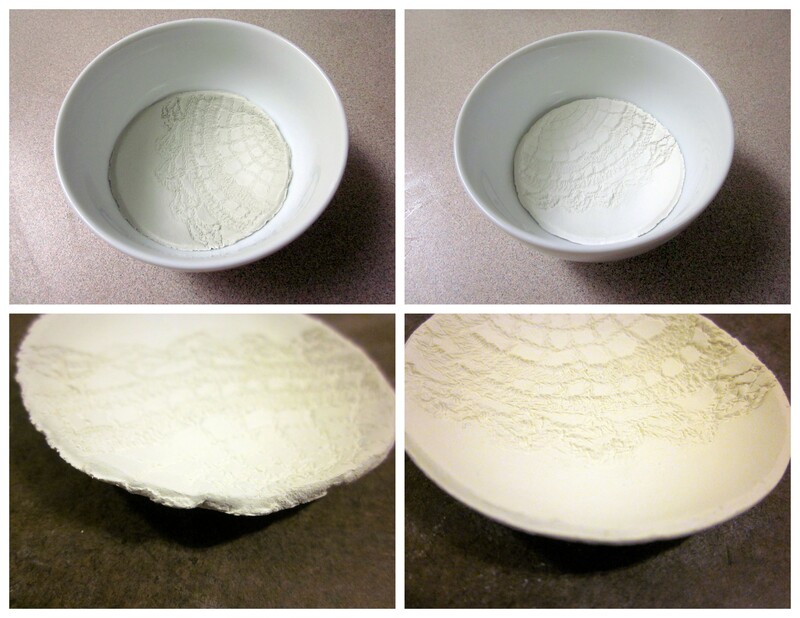 Place the clay in a bowl and press down lightly. Allow clay to dry 1-2 days. It will turn white and easily pop out once it’s dry. Smooth out the edges with sandpaper. Optional: paint the dish with white acrylic paint and let dry. Try using different stamps—leaves, flowers, store-bought stamps—there are so many possibilities! This entry was posted in Crafts, Gifts, Weddings and tagged Ring dish. Bookmark the permalink. oh my gosh, we were the super lucky recipients of this adorable ring dish. it is amazing! i love getting to see the behind the scenes of how it was made. i love this blog and can’t wait to read more!